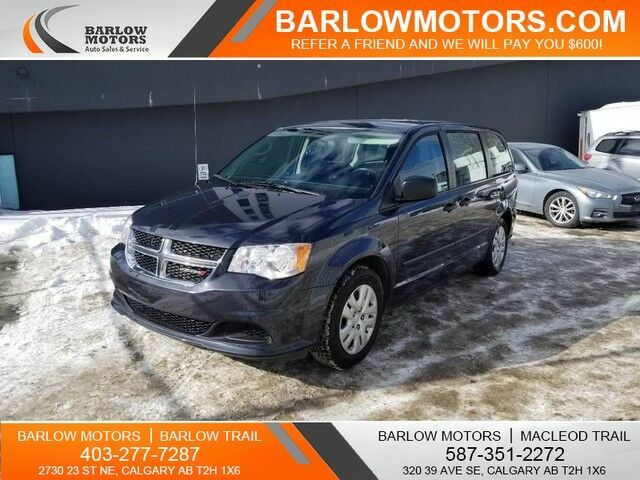 You can find this 2014 Dodge Grand Caravan SE and many others like it at Barlow Motors. The quintessential Dodge -- This Dodge Grand Caravan SE speaks volumes about its owner, about uncompromising individuality, a passion for driving and standards far above the ordinary. Just what you've been looking for. With quality in mind, this vehicle is the perfect addition to take home. Driven by many, but adored by more, the Dodge Grand Caravan SE is a perfect addition to any home. You could keep looking, but why? You've found the perfect vehicle right here. Come see Barlow Motors' quality used cars, trucks, SUVS, vans, luxury vehicles and more. Apply today, drive today. Financing available on all pre-owned vehicles!